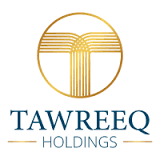 Tawreeq Holdings is a group of related corporate entities, based in the UAE and Luxembourg, specialising in comprehensive Supply Chain Finance solutions targeting small and medium-sized enterprises (SMEs) and their corporate clients across the MENA region. Tawreeq undertook a novel approach by introducing the world’s first Sharia-compliant comprehensive SCF solutions to provide SMEs in the region with the needed support to grow while offering innovative short-term alternative Islamic financial instruments for investors. Tawreeq provide an innovative approach to help service the credit gap strapping SMEs across the MENA region through factoring, reverse factoring, and ethical management of the entire Supply Chain Finance cycle in a Sharia-compliant process.